Looking for a nursing job in Harris County? Nursing (RN) (LPN) (LVN) & (CNA) jobs are listed below by Health Care facility in Harris County Texas to include most Houston area facilities. 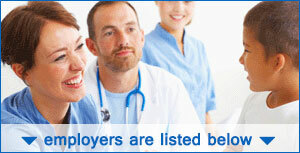 The listings here lead to the job opening or recruitment pages for hospitals and facilities in the Harris County area. Using these links you can find find Clinical, Behavioral / Mental Health Nursing, Texas Licensed Practical Nurse LPN, Advanced Registered Nurse Practitioner, Medical Assistant, Registered Nurse RN, and Certified Nursing Assistant CNA employment opportunities. Memorial Hermann Southwest Hospital had job openings. Open positions available included PRN Registered Nurse Labor & Delivery, ANP Nurse Practitioner ICU, New Graduate Registered Nurse RN, Medical Assistant, RN II Neonatal NICU, Medical Technologist, Case Management Assistant, Certified Registered Nurse Anesthetist, Physician Assistant, Certified Surgical Tech III, Clinical Nurse Liaison, Clinical Nurse Specialist, CT Tech, Home Health LVN, Hospice Registered Nurse, Hospice RN, Cardiology LVN, Mammography Tech, Anesthesia Tech I, Medical Technologist Jobs, MRI Tech, Oncology Clinical Nurse, Operating Room RN, ICU RN, Pharmacy Tech, PRN Registered Nurse PICU, PRN Registered Nurse Pediatrics, Home Health RN Job, Telemetry Nurse RN, and more. Check for new listings. St. Joseph Medical Center located in Houston, TX had job openings available for Case Management Behavioral Medicine, Cat Scan Technologist, Psych Nurse RN, Certified Nursing Assistant - Rehab, House Supervisor (PRN) Nursing, Behavioral Nurse for IASIS Healthcare, Nuclear Medicine Tech, Psychiatric Nurse RN, Nurse Tech PRN, Patient Care Assistant, Polysonography Manager, Program Therapist (PRN), RN (PRN) Labor & Delivery, RN ICU, RN Case Manager, RN Emergency Department, RN Telemetry PRN, Registered Nurse (PRN) Behavioral Medicine PICU, Registered Nurse Behavioral Medicine (PICU), Respiratory Therapist NICU (PRN), Surgical Tech (Days) Labor & Delivery. North Cypress Medical Center was hiring with open positions posted for Assistant Chief Nursing Officer, LVN / MA - Radiation Oncology, Registered Nurse RN Cardiac Cath Lab, RN Emergency Department, Registered Nurse RN Epilepsy Monitoring Unit, RN ICU, RN Pediatrics/Med/Surg, RN - Radiology, RN Renal - Dialysis, RN PreOp/PACU, Surgical Technician, Certified Occupational Therapist Assistant COTA, Lymphedema Therapist, Physical Therapist Assistant- Sports Medicine, and more. OakBend Medical Center had jobs available. Vacancies included Registered Nurse Nursery, Licensed Vocational Nurse LVN Job, Mental Health Technician, PRN Echocardiographer, PRN MRI Tech, PRN Cath Lab RN, PRN ER Tech, Medical Technologist, Telemetry RN Job, Labor & Delivery RN Job, Certified Nursing Assistant CNA, and CT Tech/X Ray Tech. Check for new job listings. HCA has various facilities throughout Houston such as The Women's Hospital of Texas and West Houston Medical Center. This is a great resource to monitor for ongoing opportunities. Methodist Hospitals include facilities such as Methodist West Houston. A wide range of opportunities were identified on this review date. Check their site frequently for openings. Please note that the jobs listed in the County Public Health Nursing Positions section represents a sampling of jobs found on a particular review date. You can visit the links provided for the most current opportunities. Harris county has many departments. Within these departments you can often find nursing positions. Periodically jobs may include positions like Forensic Sciences Forensic Nurse Specialist, Paramedic, Medical Specialist, Sheriff’s Office Health Services Licensed Vocational Nurse LVN, and Juvenile Probation - Health Services Division Licensed Vocational Nurse LVN. Monitor their listings for upcoming vacancies. Harris County periodically posts public health nursing opportunities. Check their site for listings. Michael E. DeBakey VA Medical Center offers a variety of professional nursing opportunities. During this review positions discovered included Vocational Rehabilitation Specialist, Advanced Practice Nurse, Assistant Nurse Manager, Mental Health Clinical Nurse Educator, MICU RN, Inpatient Nursing Assistant, ER Registered Nurse, and more. Texas Health and Human Services' mission is to improve the health and well-being of all Texas residents. Use their search feature to locate healthcare related positions in your region. Please note that the jobs listed in the Assorted Assisted Living, Rehab, and Skilled Nursing Jobs section represent a sampling of jobs found on a particular review date. You can visit the links provided for the most current opportunities. SavaSeniorCare had a high volume of job openings found on this review date in the Houston area. HCR ManorCare had a large volume of nursing vacancies on this review date in the Houston area. Follow their site for updates. Gentiva Health Services generally has a variety of ongoing occupational therapy and nursing positions available. Grace Hospice of Texas periodically hires for positions such as Registered Nurse Case Manager, Nurse Practitioner, LVN, LVN for continuous care, Hospice Aide CNA, and On Call Triage Nurse. Heart to Heart Hospice had opportunities for On-call Nurses. Check for updates. Vitas Hospice Services was hiring. Open positions in Houston included Registered Nurse Admission Liaison, Social Worker (SW), Registered Nurse (RN) Inpatient Houston, Licensed Practical Nurse (LPN) Continuous Care, Home Health Aide (HHA) Home Care, and more. Legend Healthcare was hiring. Periodically vacancies can be found for positions such as CNA, Physical Therapist, RN Weekend Supervisor, Wound Care Specialist, PRN RN/LVN, and (CMA) Certified Medicine Aide PRN. Check for listings.